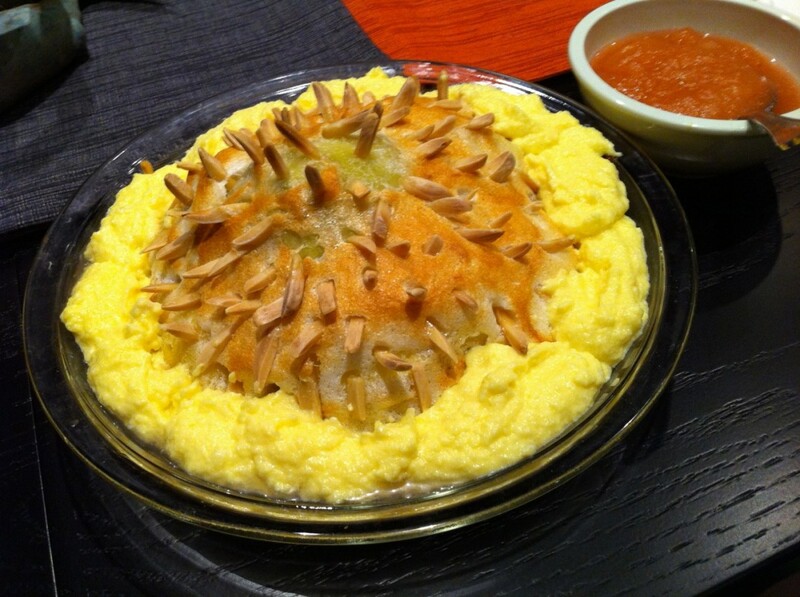 First up: the APPLE PORCUPINE. 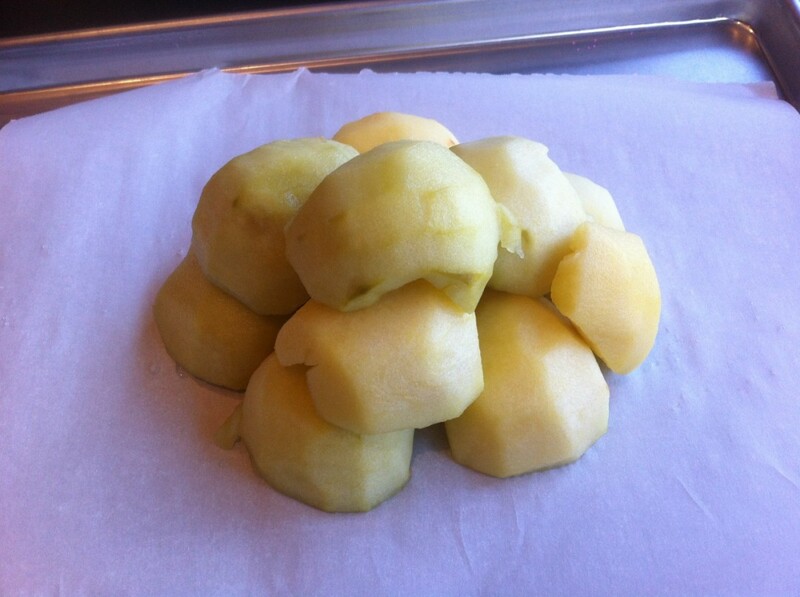 Cored and pared the apples, then boiling them a bit to soften. Next, stack them into a mound to make the backbone of the porcupine. 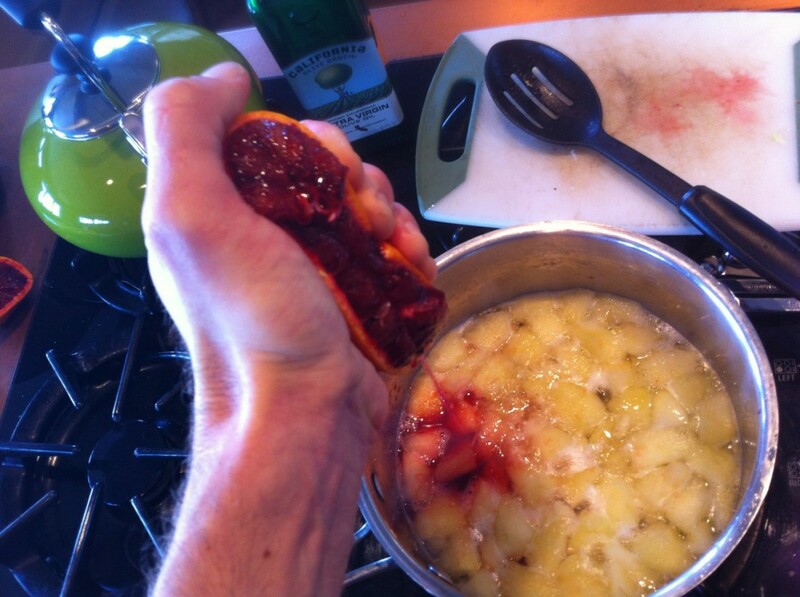 The remaining apples are cooked into a “marmalade” of apples, sugar, and blood orange (my addition, to spice up the color and flavor a bit). 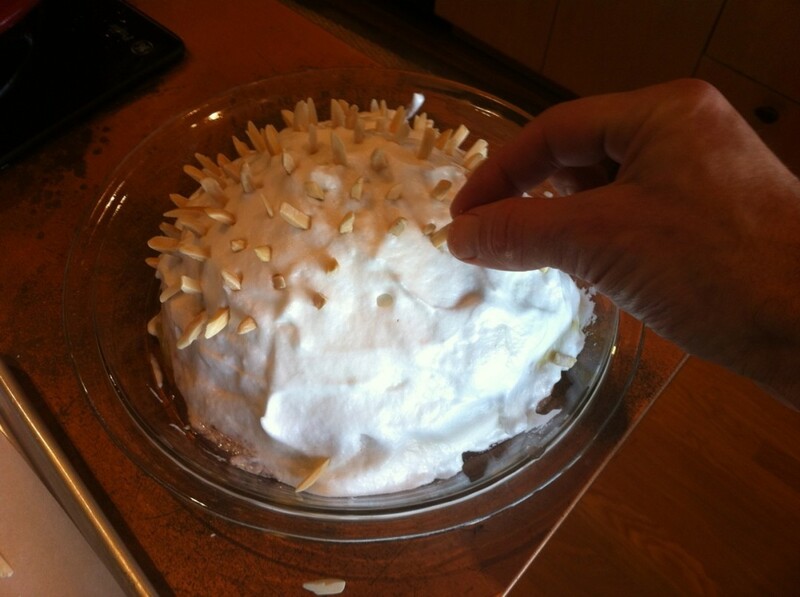 Then whip up some egg whites to make a meringue and cover the porcupine. Stick in almonds for the beast’s needles. Voila! 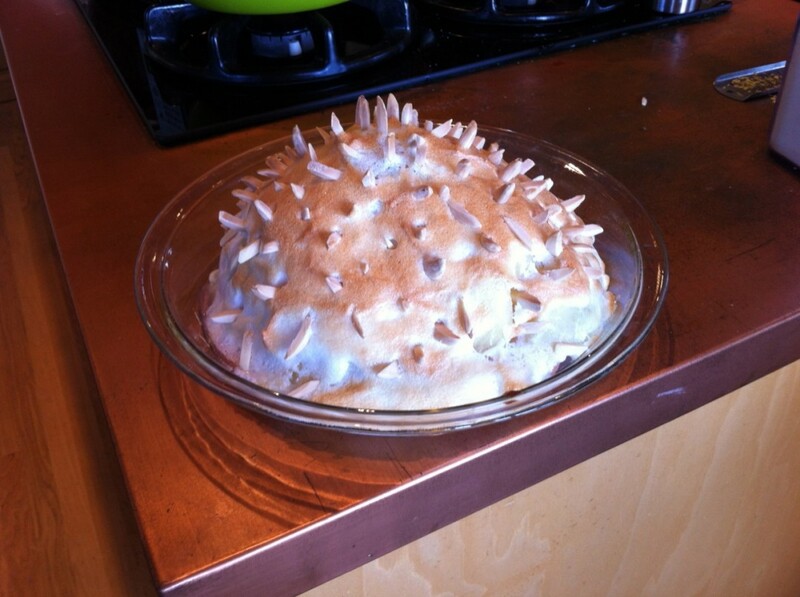 The Apple Porcupine, ringed with an egg custard after baking the meringue for color. 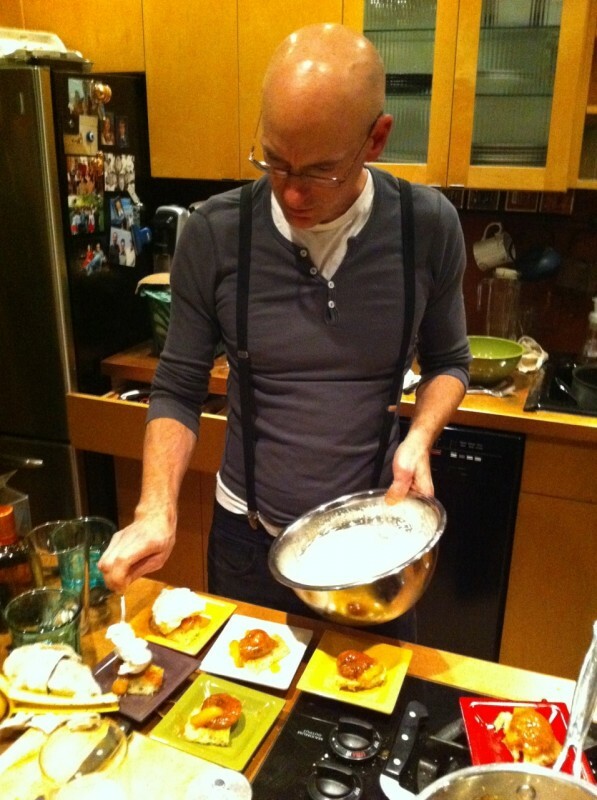 While the Apple Porcupine was interesting, much better tasting was the old Fig Toast. I made a loaf of homemade bread from Jim Lahey’s book. 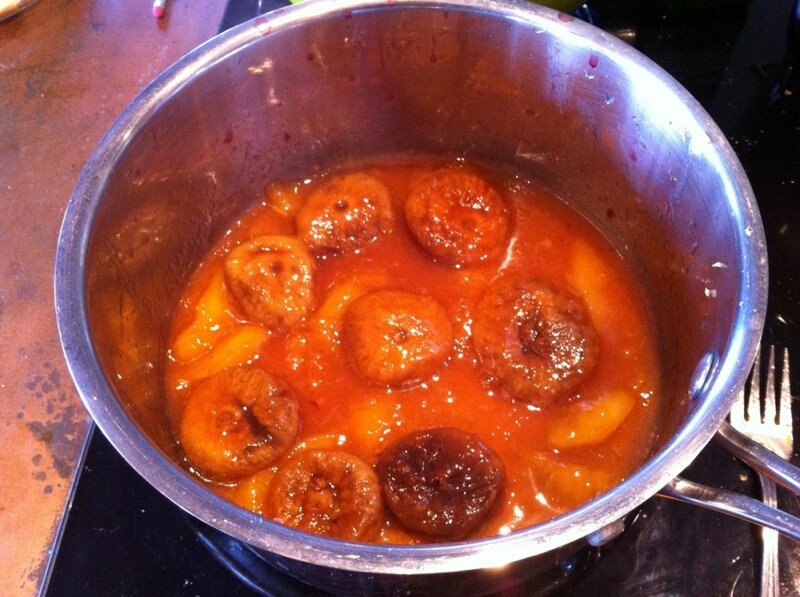 Then, first step was to stew the pulled figs in some sugar and blood orange juice. 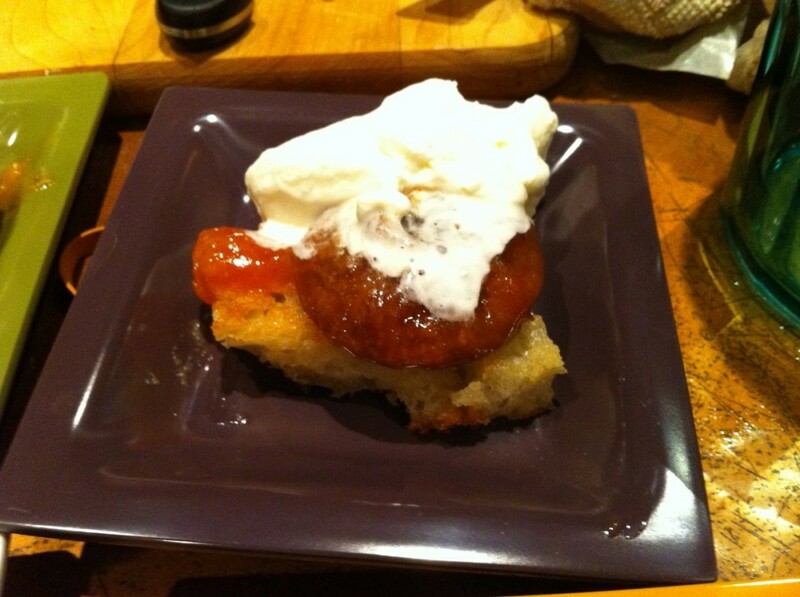 I tossed in a bit of peach too, just for kicks. After pan frying the toasts in butter, I ladled out a fig and some juice over each one. 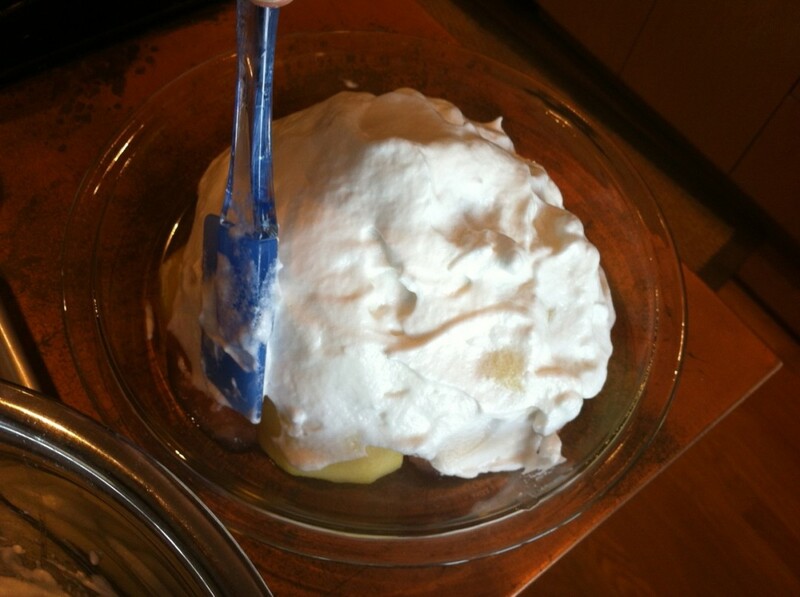 Then topped of with fresh whip cream. Totally divine, said all my guests. 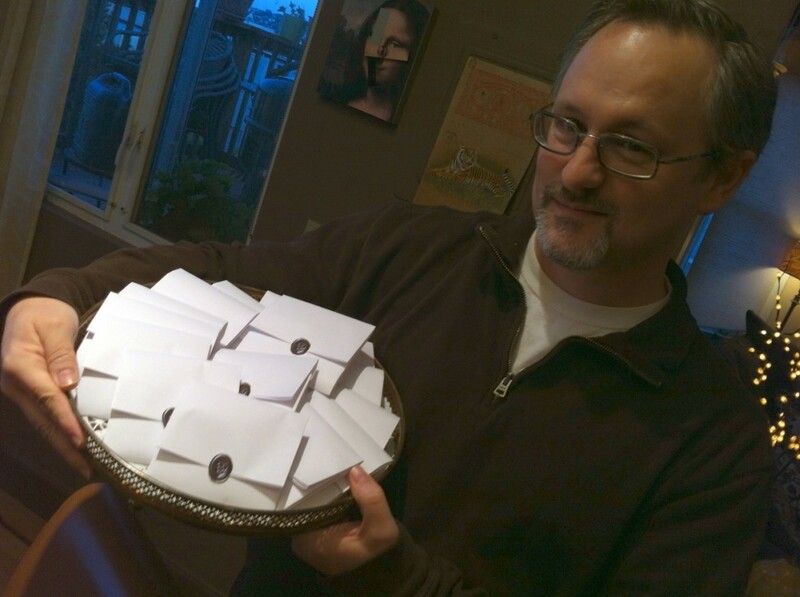 Not to be outdone, Lee arrived with homemake “Mourning Cookies.” These were traditionally served around the turn of the century at funerals. 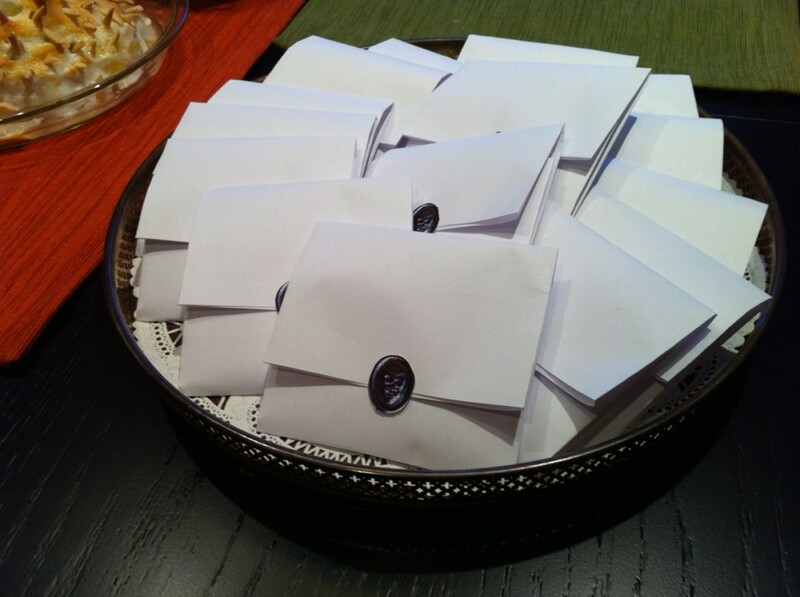 The cookies were sometimes placed directly upon the deceased, whose spirit would infuse the cookie. And then be eaten by the guests. 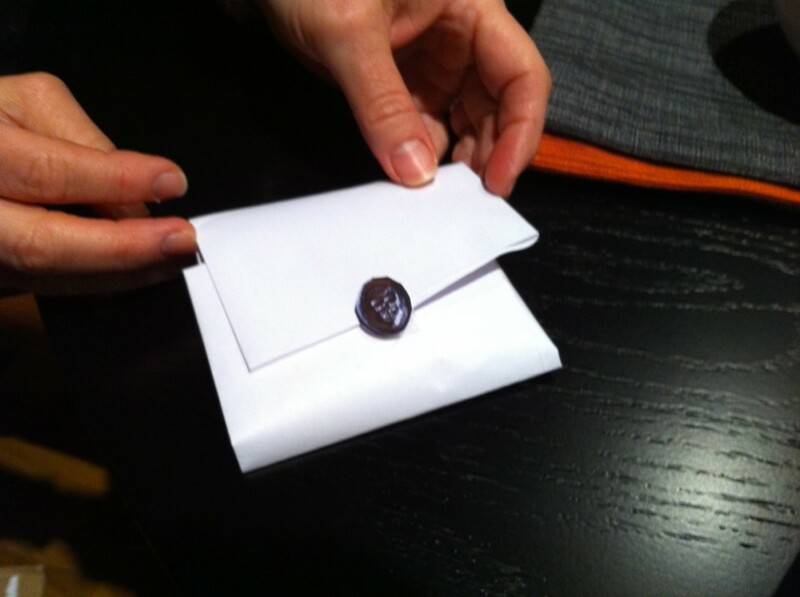 Each cookie was individually wrapped in paper, sealed with wax. 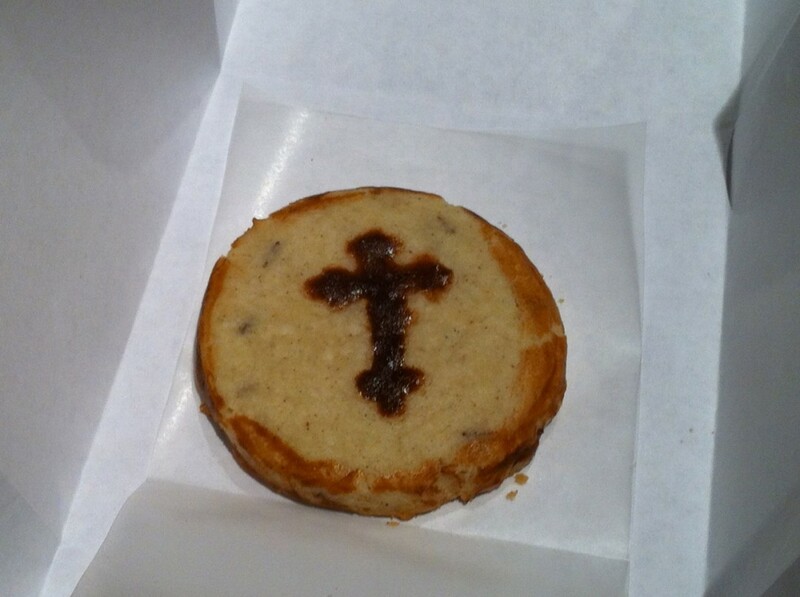 Inside was a marvelous handpainted cookie. With rye seeds and not much sugar, they were a subtle, delicious blend of sweet and savory and spiced. Lee is amazing! Mixologist Darryl took us back in time with two old fashioned cocktails: the White Lady and the Singapore Sling. 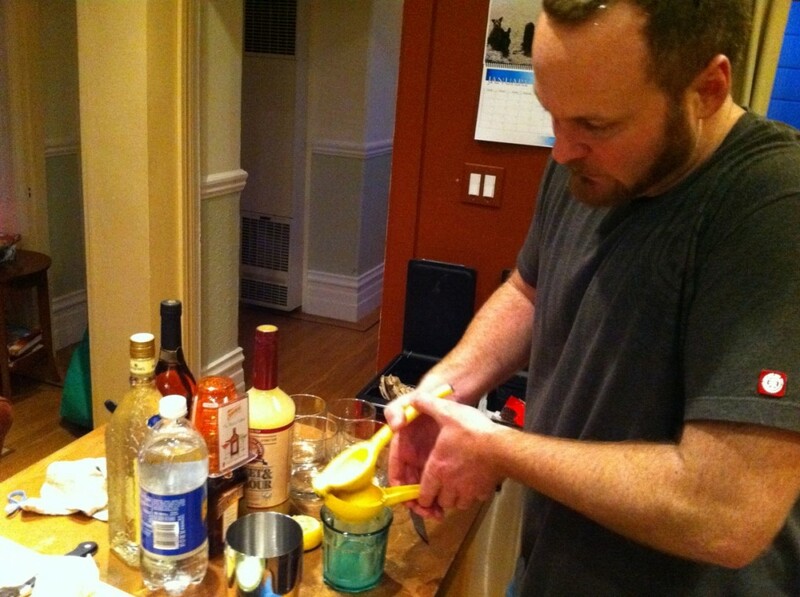 Shown here, he’s whipping up some “White Ladies” with gin and egg whites. Tangy goodness. 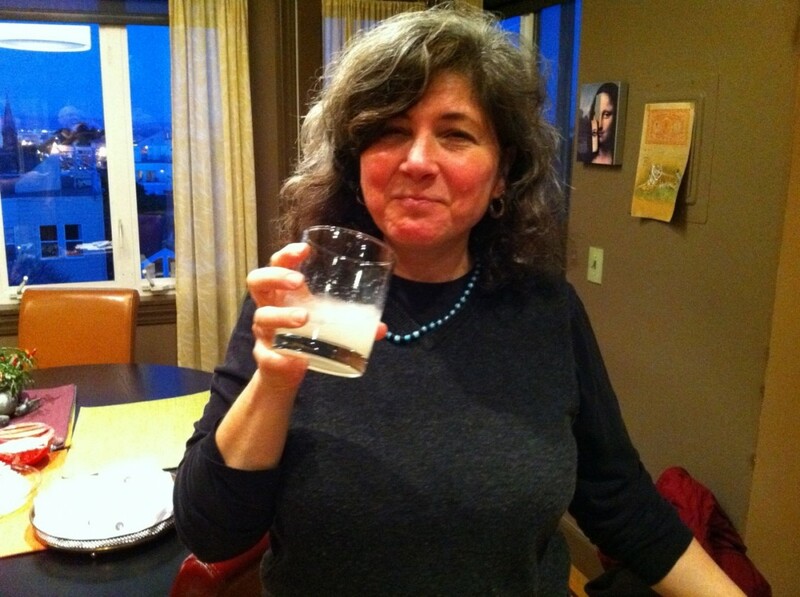 Here’s a picture of a white lady guest of mine drinking one of the White Ladies. Tart! I didn’t get a shot of the Singapore Slings (cherry brandy makes them red and tropical). Dang! But they were yummy too.